I didn't really feel like taking the photos outside, especially because it would mean freazing as hell since I wanted to show you this lovely top that I bought a few days ago! So I took the photos in my good old room, that isn't really a surplus of a scene but well..it doesn't hurt to try something different from now and than! Oh and I'm sorry for the lack of posts lately, I guess I got so cought in this Christmas spirit that I forgot about fashion for a little, so excuse-moi for that! Wearing H&M top, Bershka necklace and vintage belt. Your blog is so awesome, dear! Love it! Follow you)) Maybe we can follow each other with Google Connect and Bloglovin'? Like your outfit! Especially the shorts(which brand is it?) and the top!! Those shorts are to die for, and you look lovely :) I know what you mean, Christmas hype is so easy to get swept up in! Hi dear, I love your blog! I would love to follow each other?! I LOVE this! such a great style! I adore your shorts and necklace! the necklace and the tshirt are amazing! oh! i like it so much! especially the necklace! I love this look. The high waisted shorts are so perfect with that oversized t-shirt. That top is crazy. And those shorts are amazing. Wow, i love your shorts!! you have an amazing style!love it!and your blog is awesome!! 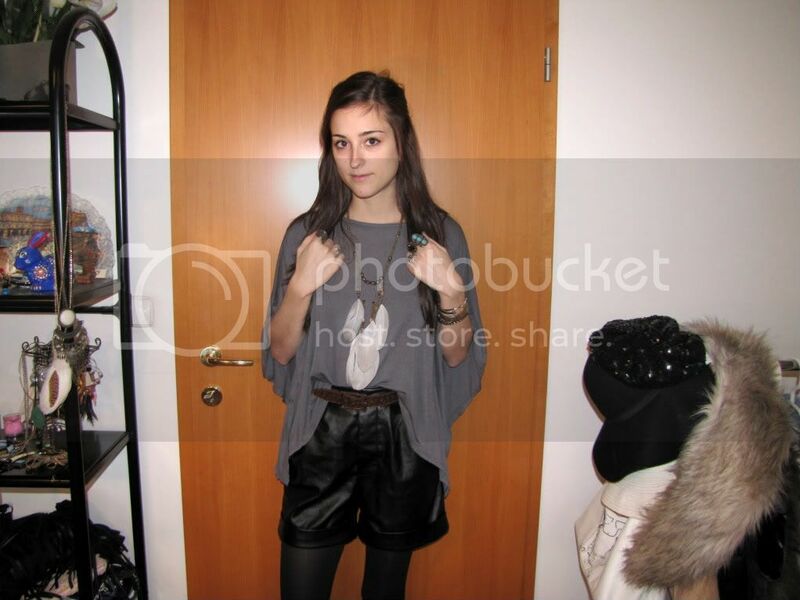 Your really pretty and this outfit is great :) Love the blouse!